Welcome to the fourth day of Secession Week 2010! The special on today’s menu is economic secession. Last year, Patri touched on similar topics in his post on Non-territorial Secession. The implementation of economic privacy is the implementation of the means of economic secession. And when those means are available they will be utilized. … [I]f the means of economic privacy are available they must choose between keeping their own money in their own pockets or voluntarily turning it over to government. Then you’ll see economic secession on a grand scale. This idea that anarchists can defeat the state by ignoring it and depriving it of resources is the central tenet of agorism, a school of market anarchist thought developed by Samuel Edward Konkin III. Agorists see counter-economics – the use of black and gray markets – as a revolutionary act and as a path to a stateless society. Think of it as starving the beast yourself, instead of depending on elected officials to starve it for you. In fact, the American revolution might best be thought of as an economic secession that preceded a political one. 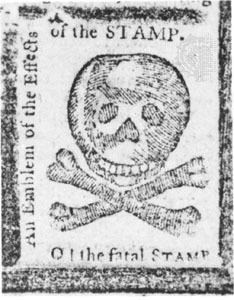 Colonists regularly flouted numerous mercantile restraints on trade–whether it be the Navigation Act, the Molasses Act, the Stamp Act of 1765, or the Tea Party generating Tea Act of 1773. Smuggling was rampant and admired. Some historians say otherwise, but John Hancock did more than sign the Declaration, he also made a fortune channelling his inner Han Solo. Whether one is starting or sustaining a business,“underground” institutions provide a backbone for all aspects of local enterprise, from loans and credit to advertisement. The cash economy abuts a world where trading and payment occur through verbal promises, in-kind payments, and barter. Laborers and entrepreneurs, including small business owners, general workers, equipment renters, and creditors, participate in highly intimate exchange networks, where personal connections and impersonal contractual exchanges coexist. In the ghetto, advertising and marketing, credit and capital acquisition, enforcement and regulation, and other aspects of commerce seem as easily conducted via informal channels and outside the government’s eye as through legitimate venues where the state is the arbiter and lawmaker. The informal economy is even more important in poor countries with inferior institutions. The problem with physical secession is that it is very difficult to achieve critical mass. There is probably not much overlap between the people you want to live with and the people who want to choose your particular form of government. The vast majority of us put up with government we dislike in order to live in proximity to people with whom we want to work and play. With virtual secession, you could still live in San Francisco or Manhattan or Silver Spring while seceding from much of the government at the city, state, and Federal level. You and your next-door neighbor might belong to very different governmental units. Suppose, for example, that instead of having your taxes allocated for you by legislators, you were given a list of programs and could choose how to allocate your taxes. What percent of your taxes should go to TARP? What percent should go to fund the mohair subsidy? What percent should fund DC school vouchers? What percent should go to Barney Frank’s affordable housing initiatives? As today’s posts will explore, incremental economic secession could involve opting out of low-quality government currencies or moving business to jurisdictions with better rules and/or lower taxes. We hope to show that breaking the cartel on government services providers is as morally right, and as socially beneficial, as breaking up OPEC.